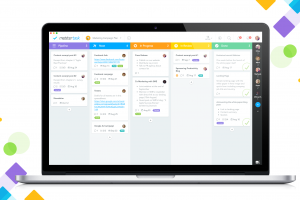 MeisterTask’s Pro plan is for busy teams and individuals who are looking for an extra productivity boost as well as valuable insights into their team’s performance. 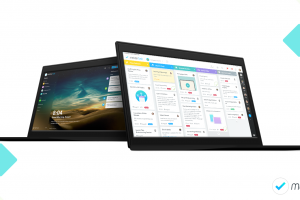 While MeisterTask Basic is a great option for non-profits, students, and personal users, MeisterTask Pro turns project boards into powerful productivity hubs that seamlessly connect with other software tools and automate recurring steps in your workflow for more consistency. Section Actions are smart workflow automations you can set up to work more efficiently and consistently. 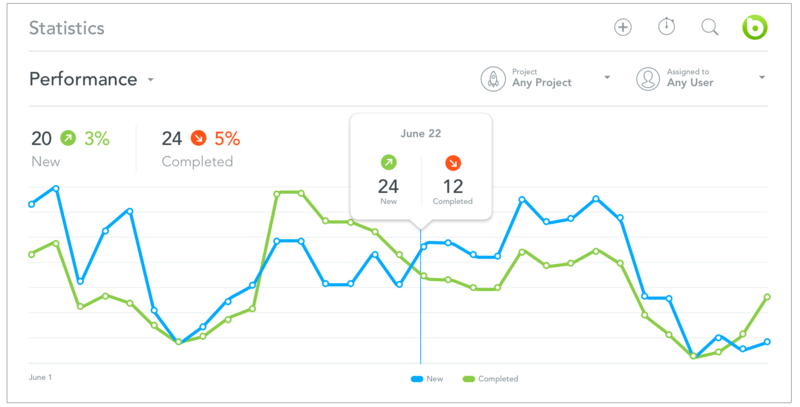 Each section in your project can trigger multiple actions. When tasks are moved or created in a section these are automatically applied. 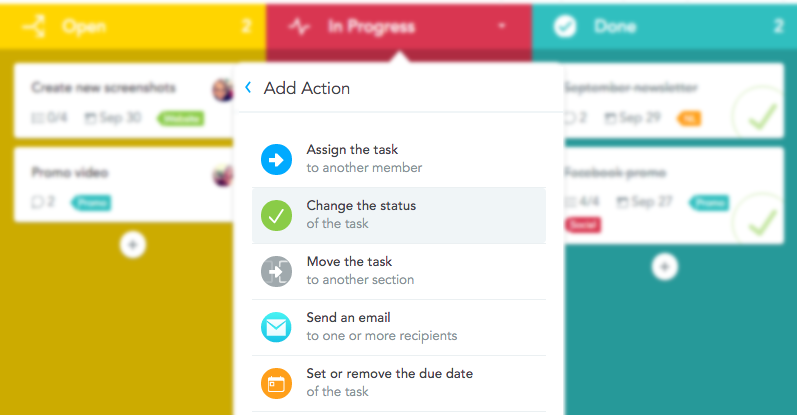 MeisterTask currently offers nine essential actions, and we’re constantly adding new ones. You can find out more about Section Actions here. 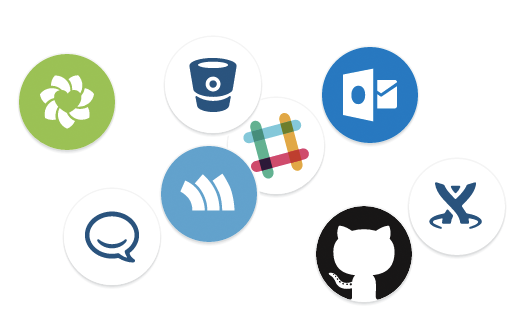 Integrations are a way to connect MeisterTask with other tools and platforms you’re using in order to create seamless workflows and efficiently exchange data between them. In addition to the essential integrations available to all users regardless of their plan (such as Dropbox, Google Drive, Box and MindMeister), Pro users can set up an unlimited number of integrations between their project boards and tools like Slack, GitHub, Bitbucket, Zendesk and more. Check out our integrations page for more info. As a Pro user, you’re able to choose background images from our library or upload your own photos and wallpapers, to customize your dashboard and beautify your projects. What is your team up to, what are they spending their time on, who’s the most productive and which projects are eating up your resources? Statistics and reports provide you with important insights and traceability, both for internal reviews and client billing. 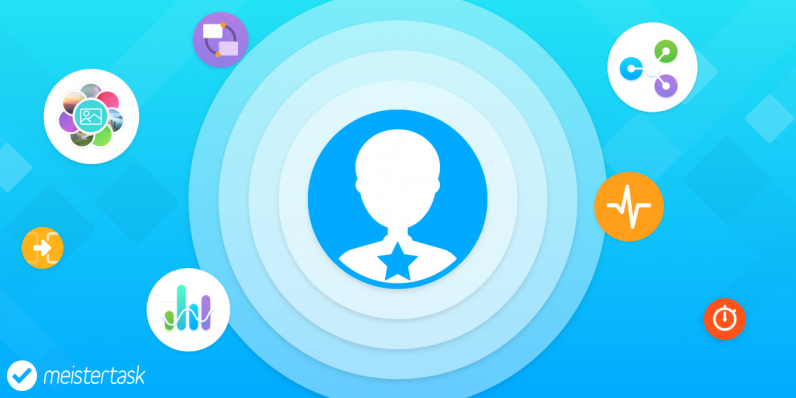 One of the biggest updates which are yet to arrive will focus on user roles (think administrator, collaborator, contributor etc.). They will enable you to grant different access/reading/writing rights to users as well as set up teams and groups in order to quickly share projects with multiple users at once. Some of these features will be paid, others will be available for everyone. If you have any feedback or suggestions regarding user roles for us, please feel free to send them to [email protected] or share them in the comments – we’d love to hear your input! MeisterTask Pro is available for 7.50€ per user/month when paid annually, or €9 per month, when paid monthly. So, are you ready to go Pro? Can projects be mixed between PRO and BASIC users? Or will projects now be either PRO or BASIC, limiting the users accordingly? At the moment a project can be shared with both Pro and Basic useres, yes. However, we\’re currently working on a user role system with proper teams, which will give admins full control over who can be invited to projects etc. So, things may change once this big update is out, but it will be a little while until then. We\’ll keep you posted on the developments! Hi, it would be really great if you could combine personal and business accounts into 1 dashboard. For example, I have Trello (personally, via a personal email login) and Trello Business Class for work (via a work email login), I am able to see \’all\’ my projects on either dashboard and access visibility/access rights are still maintained. Thanks for your comment. We did offer a few features from the PRO plan for free until now, but please consider the fact that we said from the beginning that there would be a paid plan, and that this plan would include the power features for the power users. 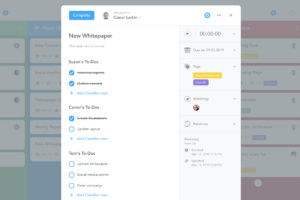 The free plan still offers all the functionality you need for great task management and there are no limits to the number of collaborators or projects you can create. Please also know that those section actions you\’ve already set up will stay active, even if you don\’t upgrade to the paid plan. We really hope you\’ll stay with us, whether it is as a basic or a pro user. If you have any more feedback or questions, just let us know. Any plans for external api? So i can create tasks and projects from my CRM? Yes, absolutely. We\’re working on getting the API out as soon as possible. We\’ll keep you posted! So … wondering where the MeisterTask API might be able to be referenced … you mentioned 9 months ago it would be out ASAP … but, can\’t find one. Specifically I am wanting to look at WHMCS and time billing integration type functionality, as while you can record time in MeisterTask there\’s no easy way to track and bill for that time in an automated manner and we want to build an integration to make it happen. Can you give an update when you expect the API to be ready? I see you are publishing a lot of integrations and I guess these are based on some kind of API. I would not expect a full API for all functions as a first version but at least some basic functionality like reading tasks would be a big improvement compared to having no API at all. Hi there, I\’m also dependent on MeisterTask now and need an API, could you possibly give us an update please? It has been close to a year…………. been exploiring this brilliant creation. one glaring issue with tasks – need filters for tasks on homepage. otherwise the tasks are in random date order and no help in organising your day and seeing whats next! either that or a global list view with sorts and filters. 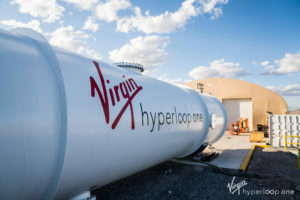 is there any chance this is coming soon?? Thanks a lot for your feedback. We\’re looking into ways to improve the dashboard and the widgets to help with this problem. There is no ETA yet, but it\’s definitely something that has our attention! After days of searching for a personal project management solution for my new terraced house to be build next year, I finally came across this beautiful, easy to understand solution which has almost everything I was looking for. One thing that is really missing (in my opinion) is an integrated calendar (not external integrations) which gives a clear overview of what is due today and the days, weeks to come. Not just for one project, but (optional) multiple/all projects. A bit the same as Ben already suggested I guess. Thanks a lot for your feedback – we\’re happy to hear that you\’re enjoying MeisterTask 🙂 A built-in calendar view has been requested a few times before and is definitely in discussion. Can\’t make any promises yet, but we are looking into it. If you have any other suggestions, please let us know! I agree with torgrim! Please make a Gannt Chart/Timeline view with the ability to view and organize the workload for each day and each team member. Gannt Chart/Timeline and the ability to insert an event at a particular time on the calendar. It would be really nice if I could select a client for each project. Usually I have multiple projects running for each client. Also when the reports for time tracking becomes available, it would be really nice if I could see which client a project belongs to. A message board on the main screen would be excellent. A place where you can enable or disable the ability to view/post general messages and announcements … maybe even just limit this to an administration role? Would love to see something like this soon! Thanks a lot for your feedback! Not sure if this has even been requested before, but it\’s a cool idea. We\’ll add it to the list and give it some thought. Cheers! +1 for this feature. I think a lot of people who use Meistertask with someone else, want to share general announcements or remarks now and then. It would be really helpful. In combination with reports overview in the Meistertask dashboard? i love meister task as an individual project management tool, but I\’m currently struggling with a way to manage so many projects and viewing what I should be prioritizing from a higher view. My current solution is to have another project board that just shows all of my projects broken out by business unit, but now there is a disconnect. It would be really awesome if you could make a task actually LINK to another project. OR as an alternative, if in the project view you can actually tier the projects as if it were sub folders – Marketing > projects … HR > projects … Finance > Projects.. that would solve the problem as well. If this were the case, I would be able to get my entire team to use it. Another awesome feature would be a TIMELINE option, where it actually takes your tasks and throws it into a timeline view to see where everything should be at :). So far I\’m loving meister task though! I\’m trying to get my team to fully adopt it, just coming across these recent struggles as there are so many projects with each business unit. One last feature… I have 3 different emails, one for work, one for a non profit, and one for my personal use. It would be so amazing to quickly swap between each account rather than logging out. Loving the tool so far though guys! 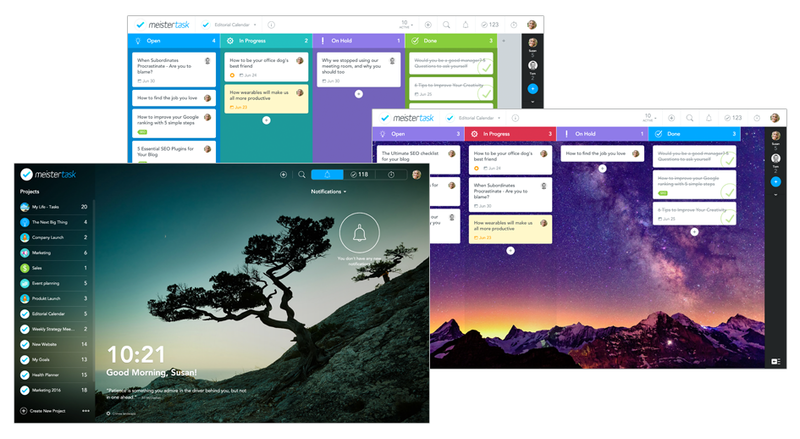 Great to hear that you\’re enjoying MeisterTask, and thanks for all the feedback! – We\’re already looking into a folder system for the project list as this has been requested by many. – A quick switch between different accounts is a cool idea, not sure how difficult this would be to realize but we\’ll propose it to the team. 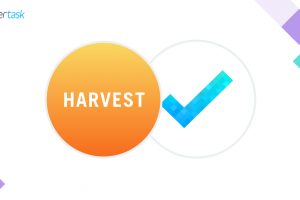 – Regarding linking tasks with projects: We just added the ability to turn tasks into projects, but there is no link between the original task and the project (yet). For now, instead of having a \’master\’ project with links to individual projects, have you thought about using a MindMeister mind map to get a better overview? You can create a master map with branches for each department. Each branch can be linked to multiple sub maps which visually outline the goals/risks/teams/milestones etc of the project. And each of those sub maps can then be linked with the individual projects in MeisterTask, incl. task sync. – Regarding timeline view: The first step for this was done with the iCal feed, which lets you sync tasks with calendars. Next steps would be either improvements of this feature or possibly a deep integration with a calendar. We\’ll keep you posted! … Just thought of this: With our upcoming User Roles update we\’ll add the ability to be part of multiple teams and quickly switch between them, but all with the same account & email address. Would that work for you too? what happens if one user has pro, and some others in the team don\’t ? Can you please tell me if you\’re planning to be able to track cost/income as well as time? 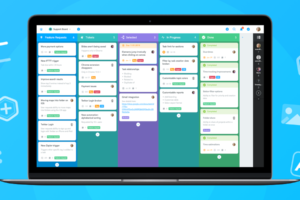 We used to use Trello, and now use MeisterTask for sales pipelines and projects. One of the biggest issues with Trello was that cards and columns/stages couldn\’t track dollar amounts. If a cost could be entered at a task level, and summed up at at column and project level that would be fantastic. Similarly in a sales pipeline, if a deal value at a task levels, column and project level that too would be great. Hi Brad, this is currently not on our roadmap but we\’ve added it to our feature request list and will see what we can do. Best regards! We are planning on working with some external users / freelancers / clients in some MeisterTask projects. We will not be able to buy pro version for everyone, and we can\’t expect everyone to buy one for themselves. Is it possible to mix paid and free users in one project? If yes: How will mixing paid/free users limit features? Hi Thor, yes, this is currently possible. Pro features such as Section Actions will be performed no matter which user triggers them, Basic users just aren\’t able to set them up. However, please note that this may change at some point, as we\’re looking into switching from a user based model to a team based model similar to Slack\’s approach. Hi Jadzla, we\’re aiming for Q3, so it shouldn\’t be too long now. Thank you for bearing with us! It would be really cool if there is a feature to connect a e-mailadress to generate a new \’Open\’ task with a unique ID (like a ticket) within a board. If you want to use Meistertask with support tickets right now, you have to use Zendesk. It would be nice if a feature like that is allreay in meistertask itself. Hi Wouter, thanks a lot for your feedback. Just to be clear, are you aware that we have an email integration that lets you send/forward emails to a specific section in a MeisterTask project and turn it into a task there? If this is what you\’re looking for, you can find the email address of a section in the section header under \”Actions\”. Thank you, that\’s really great to hear! We\’re still working on the designs but will share a sneak peek as soon as possible! Hi, guys! Is there a limit of users for the free version? Hi Alex, the first version should be out either this or next month! Hi Florian, I’m afraid timelines are currently not in the works, but we’re happy to add a vote for this feature to our feature request list and take it into consideration!